When I taught 5th grade, our Social Studies curriculum covered United States’ history. If it worked out just right, I could time the section about Columbus and the explorers to be this time of year, around Columbus Day. 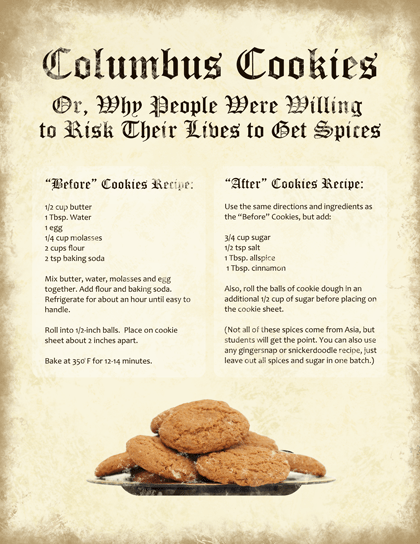 To help the students remember that Columbus’ goal was NOT to discover a new world, I made “Columbus Cookies” for my students; Columbus was looking for spices!